We supported DuroByte Motorsports for many marketing related projects from re-branding with a new logo design, to marketing and sponsorship collateral design to a new web presence. 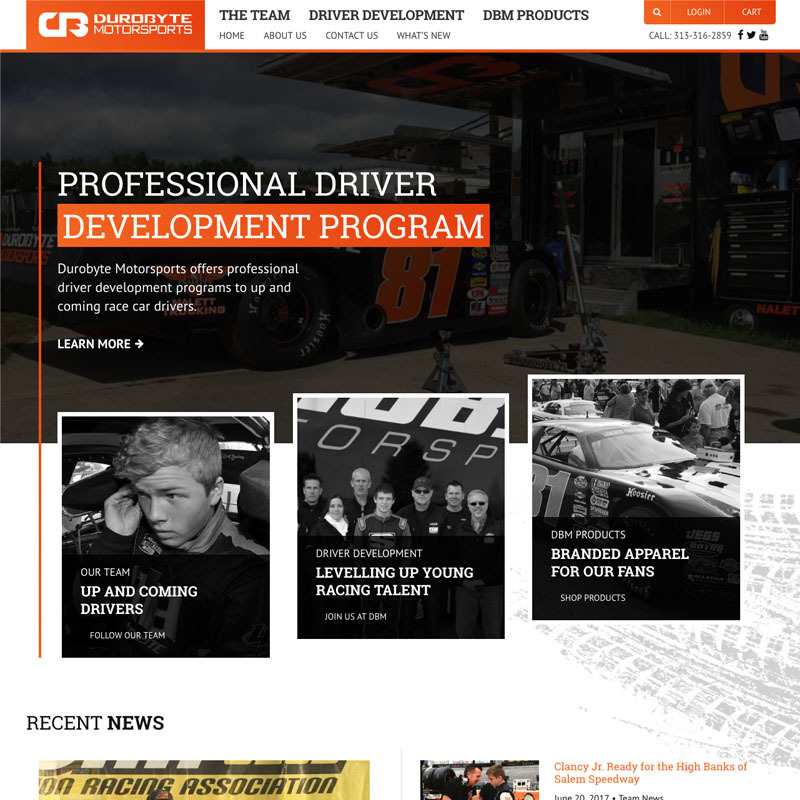 DuroByte Motorsports has developed a strong, consistent brand image across all channels. We created a unique bespoke website that looks beautiful and is very easy to navigate on all devices with a responsive design from mobile to desktop. There was a heavy strategic focus on creating an architecture with relationships between simple and complex landing pages, event schedule, event results, biographies, news, and an e-commerce shopping experience. We chose Woocommerce as the reliable and robust e-commerce platform.